Leaders, alumni, and current students of CIEE: Council on International Educational Exchange marked the 50 year anniversary of the opening of CIEE’s Study Center in St. Petersburg. The programme was the first educational exchange that ever took place between the U.S. and the Soviet Union. CIEE negotiated the establishment of the Cooperative Russian Language Program in St. Petersburg (then called Leningrad) in 1967. By immersing American students in Russian culture through project-based learning and volunteering models, the programme served to strengthen ties between the two nations and ease Cold War tensions. Today, more than 5,000 students from universities and colleges across the U.S. have taken part in a CIEE program in Russia. “Fifty years ago, U.S.-Russian relations were strained at best, and we can observe some mutual mistrust even today. We believe that at times like these, it’s more important than ever to reach across the divide and collaborate effectively on the world’s stage. This very idea – that by bringing people together we can increase global harmony and nurture peace – is the foundation on which CIEE was built,” said James P. Pellow, President and CEO, CIEE. 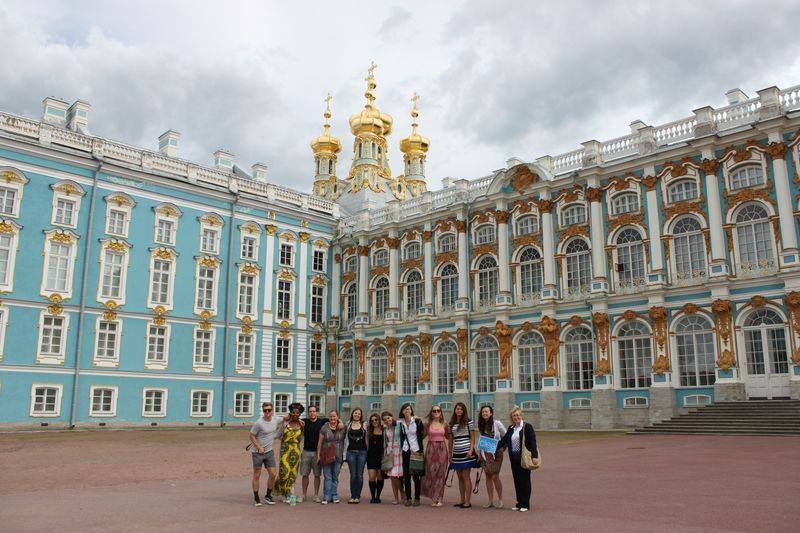 Regardless of the sometimes strained relationship between the U.S. and Russia, the CIEE Study Center has remained open, inviting students to immerse themselves in the beauty and elegance of Russian culture and helping to build connections between people. During the anniversary celebration, CIEE welcomed alumni back to St. Petersburg, where they joined current CIEE Study Abroad students, staff, partners, and friends for four days of reminiscing, discussions, and cultural exchange.